For this early morning flight, we woke up early and the night before I had arranged for the Doubletree Hotel where we were staying to pack us breakfast to go since we would not have time to head to the restaurant for a sit-down breakfast. 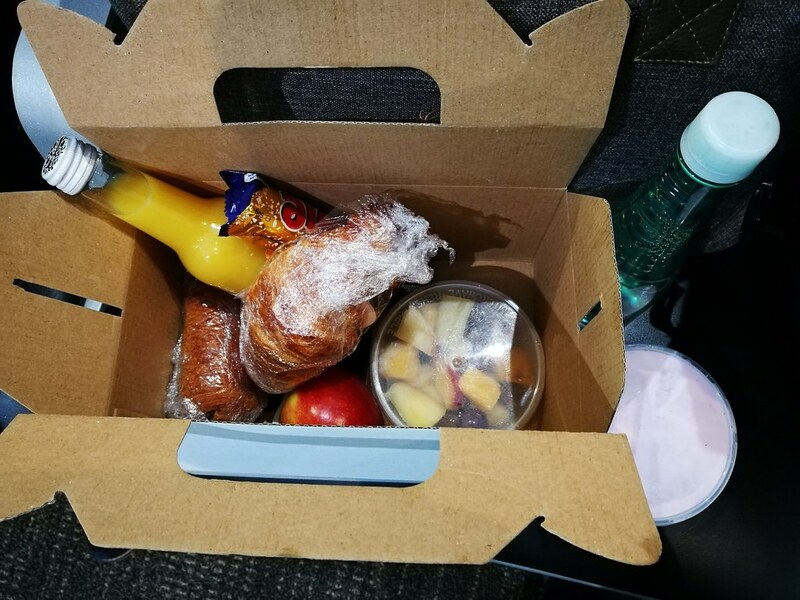 Inside the box was a hearty breakfast consisting was a croissant and a chocolate danish wrapped in cellophane, an apple, a bottle of orange juice, a bowl of cut fruits, a bowl of berry yogurt and a Crunchie chocolate honeycomb bar. Needless to say it was great to enjoy during our flight from Queenstown to Auckland. After dropping off the car at the car park and leaving the key in the small box by the office, it was off to check-in for our flight which was easy in this small terminal. 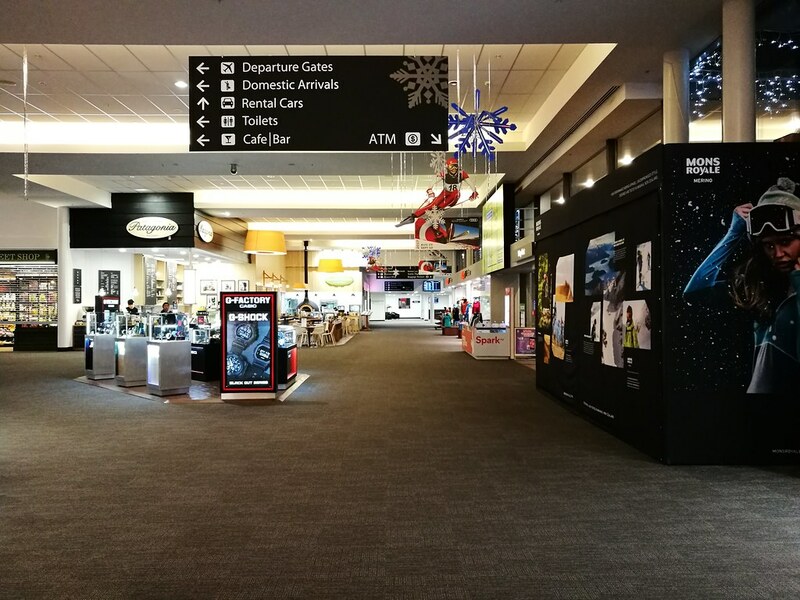 There was plenty of self-service terminals and open counters with staff ready to help. With not much crowd early this morning, we obtained the boarding pass in no time. 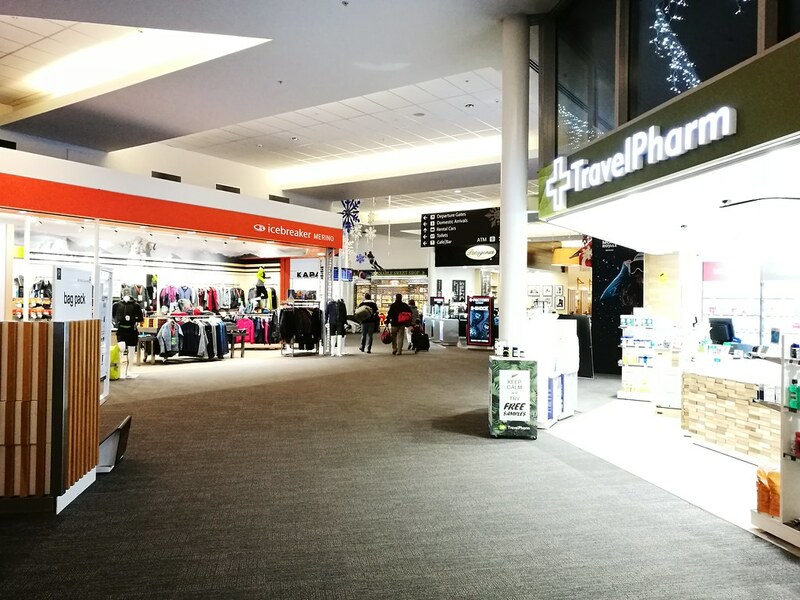 Even for our early flight, there was shops that were open, and Queenstown might be a small terminal but it has plenty of useful shops like a branch of Icebreaker and Mons Royale, both local outdoor sports apparel retailers from New Zealand. There is also a confectionery, cafe, and pharmacy inside. With no plans to shop, we proceed past the security where there was no queue to enter the holding gate. Both international and domestic security are next to each other so it is best to check the lane markings here. 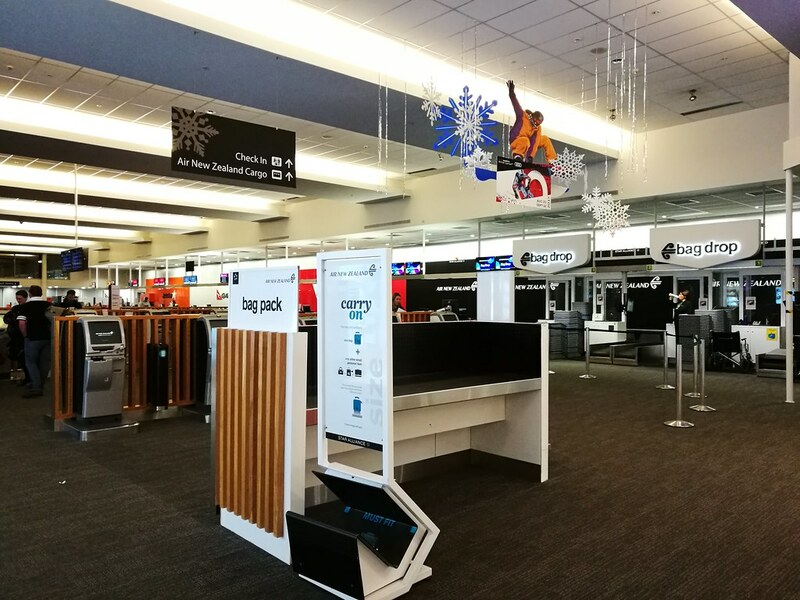 In such a small terminal, the waiting gates are small and passengers could have difficulty finding seats during peak late morning and afternoon departures, though it was fairly empty so early this morning. I guess it makes travel a tad more comfortable leaving before the day breaks? 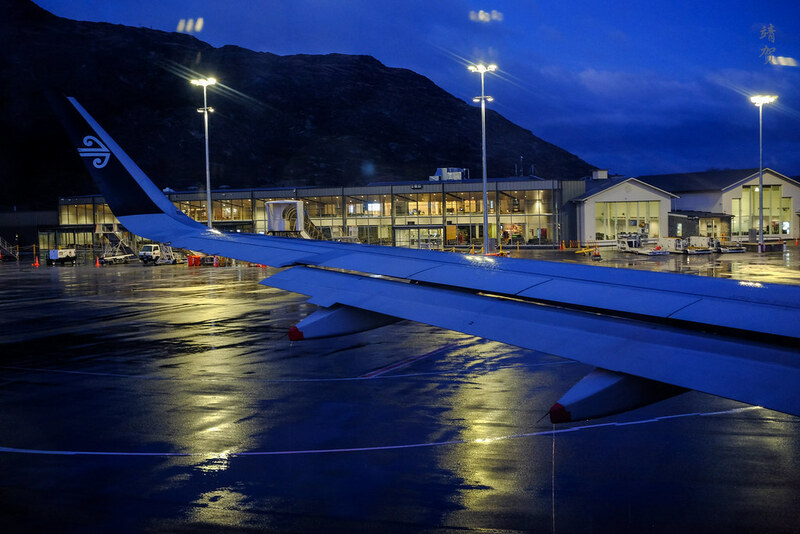 Travellers flying out of Queenstown should take note to keep their jackets ready for domestic flights since there is no enclosed jet bridge here. On the call for boarding, we proceed to walk out of the terminal to our plane parked just a few feet away from the door. 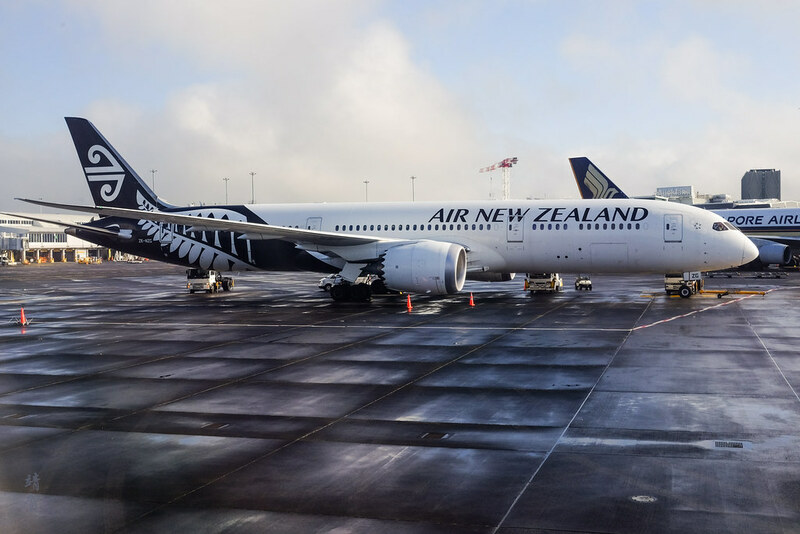 Once again, there is not much to say about the cabin since Air New Zealand only has an all-economy class cabin for the domestic-only Airbus A320s. 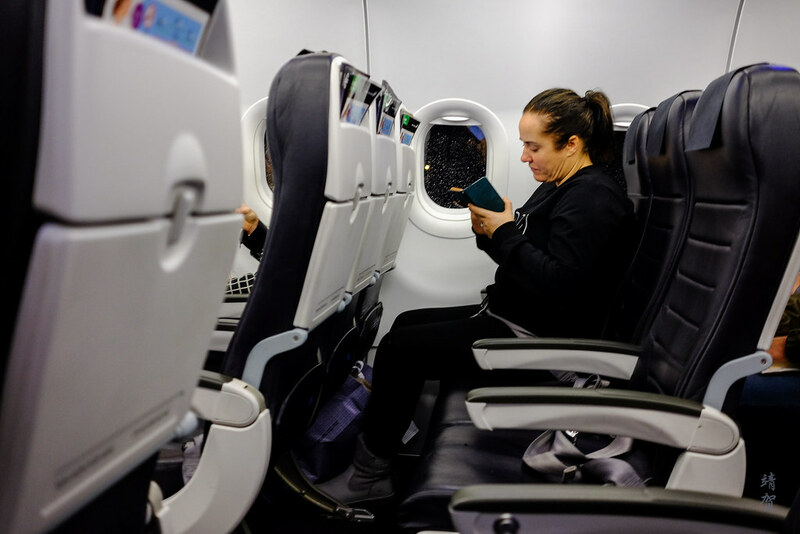 The interior makes it feel like a low-cost carrier. Even the upholstery is in black leather just like how the budget carriers prefer it. On the seatback, there is a pocket for the safety instruction card, a disposal bag and the inflight magazine. 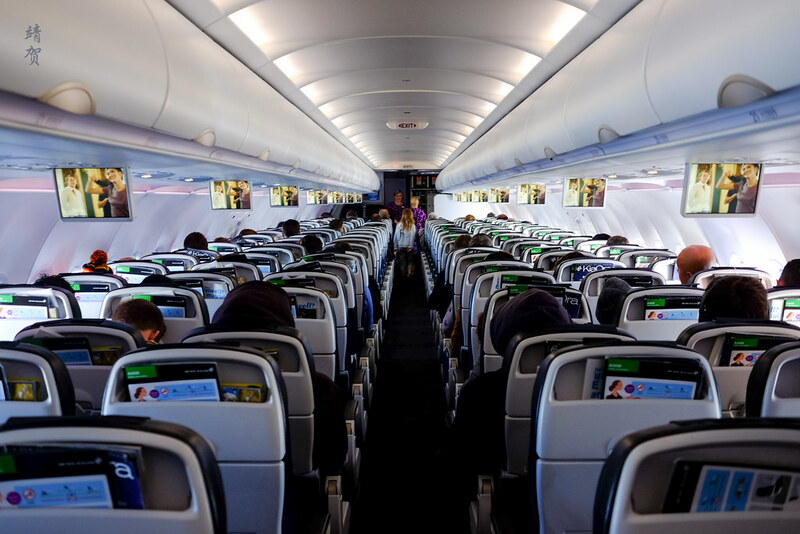 The only good point here is the bright cabin on boarding that is well maintained. 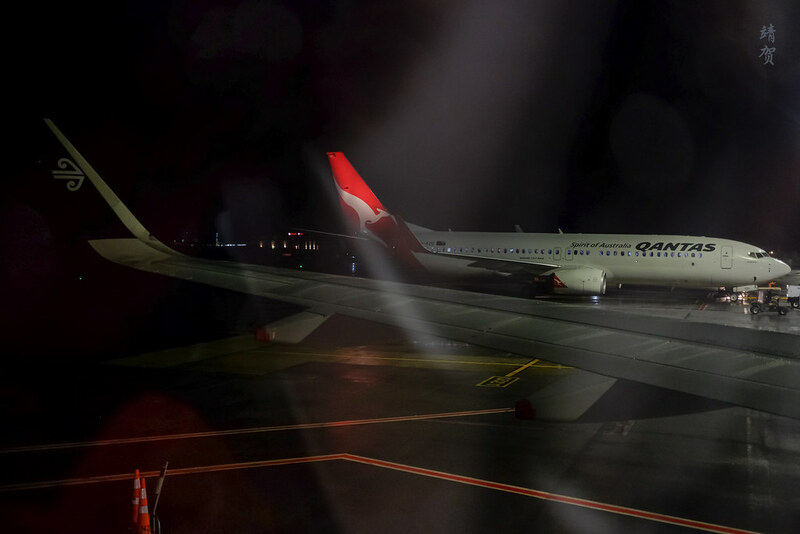 As I got seated on the window seat once again, there was a Qantas 737 parked next to us headed for an international flight to Australia. In the end they did depart earlier than us as boarding took a while to complete. Upon the completion of boarding, it was nice to get the aisle seat empty since this was not a full flight. This meant my friend and me got to spread out since he wanted to continue with sleep and I had my favourite window seat again. 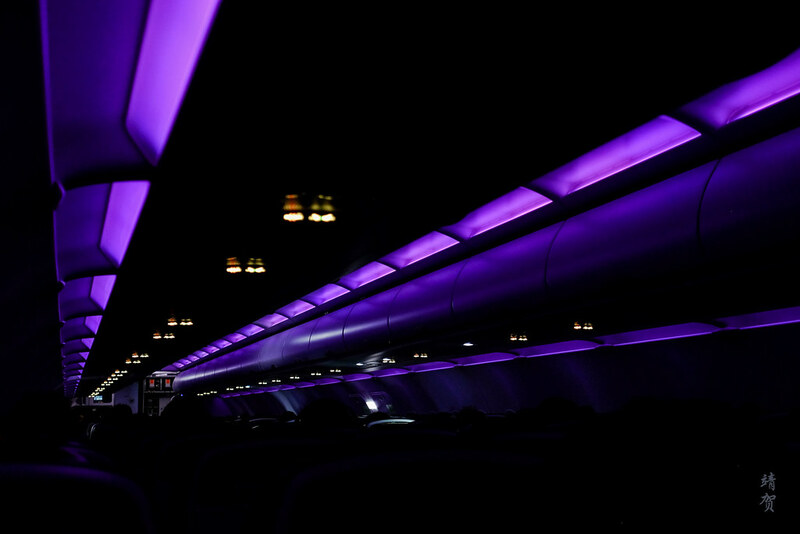 The cabin light was dimmed as we started pullback to head to the other end of the runway. 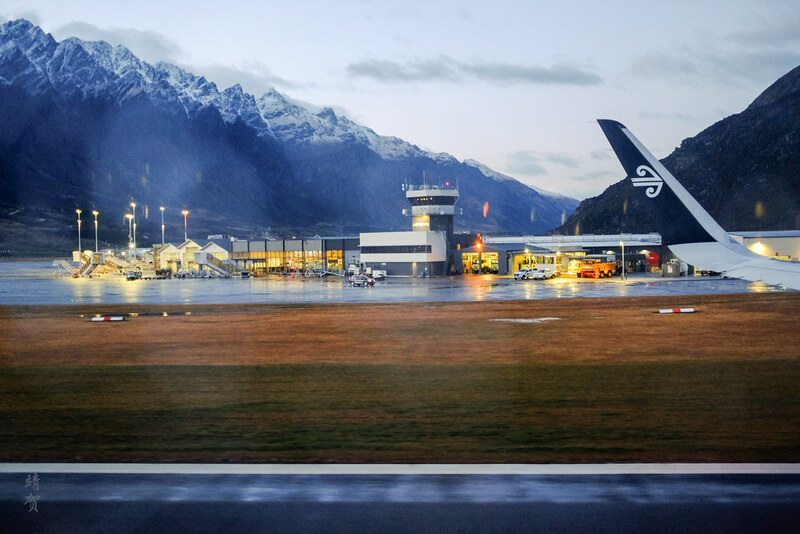 Take-off and landing at Queenstown is definitely one to remember for aviation enthusiasts due to the constraints placed on the runway from the natural and man-made barriers. 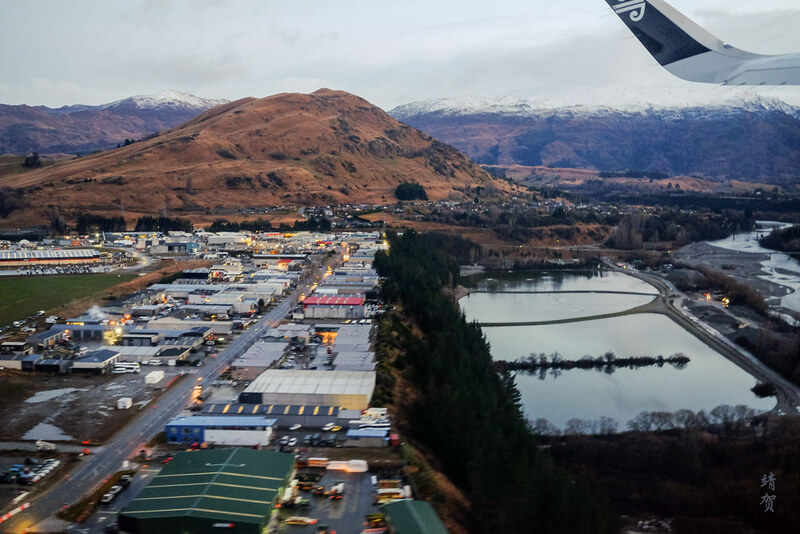 Mountains surrounding Queenstown Airport that makes this town a haven for outdoor enthusiasts means our flight had to circle around to gain altitude. While the clouds made it still dark on the ground, the scenery changed once we got above the clouds. The first light of the day is always beautiful as it was in hues of orange and purple. Add the snow capped peaks jutting out of the clouds and it made for a dreamy scene! 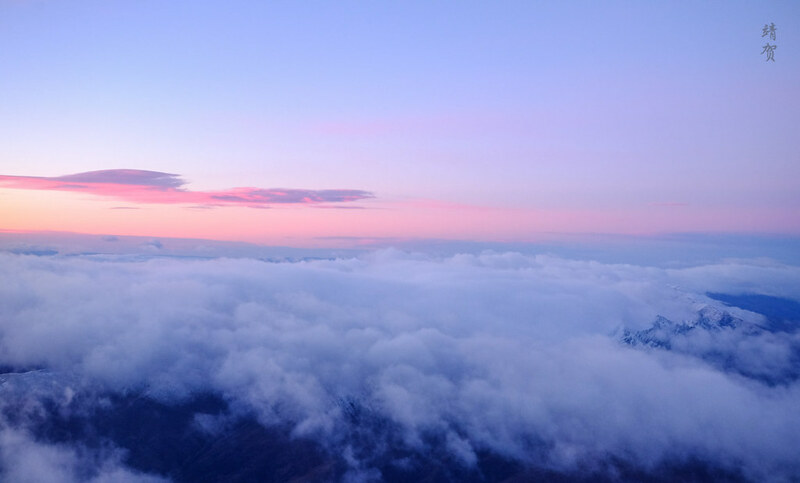 The flight became brighter as we head north-east and it was great to experience sunrise from above the clouds. 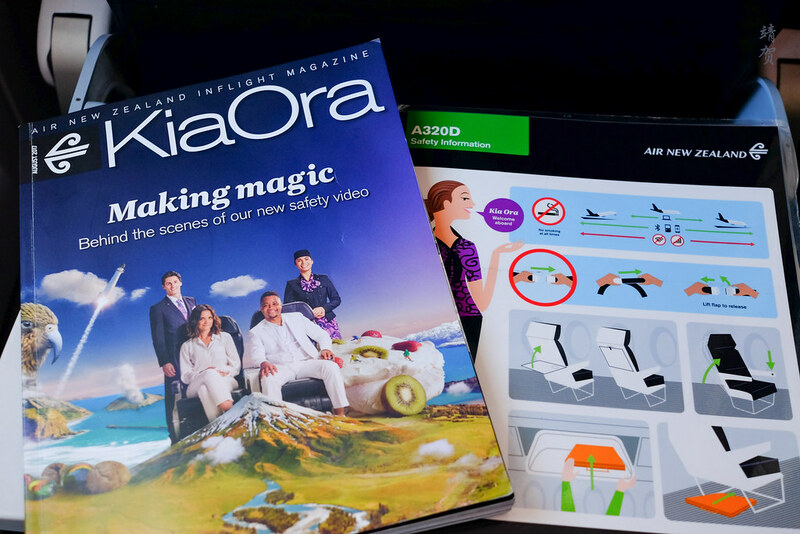 Now I know why this flight was marketed as a Koru-hour flight by Air New Zealand. Inflight service commenced as the sunlight illuminated the cabin and like my previous flight, there was a snack and a beverage provided with compliments. Though on this particular flight, the snack was a cookie and I had a coffee to perk me up for the day. 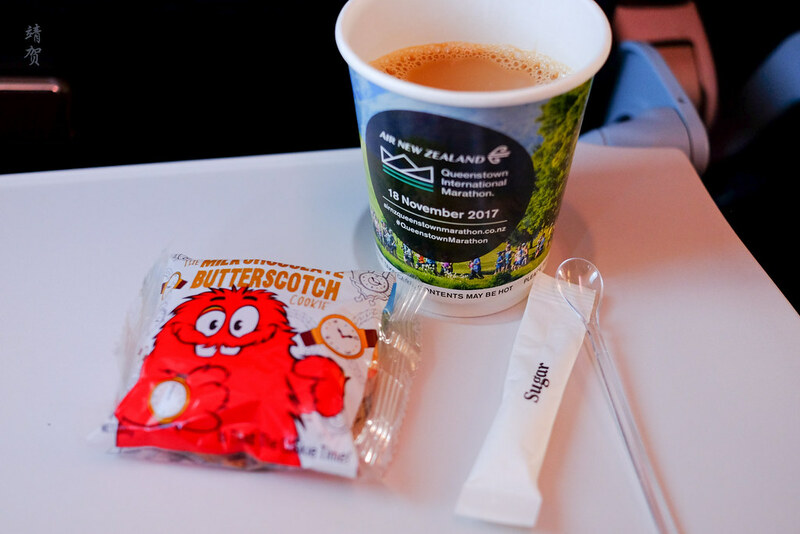 The rest of the flight was spent playing some games on my mobile phone and snacking from the breakfast box and enjoying my cup of coffee. For those with no mobile entertainment, there are some videos and inflight quiz from the overhead monitors. 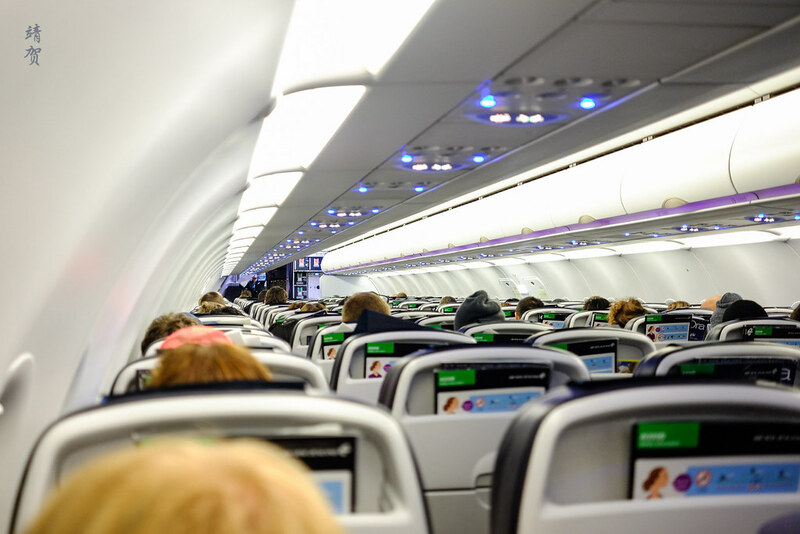 With the early morning departure, the cabin is quiet with many passengers catching up on sleep. 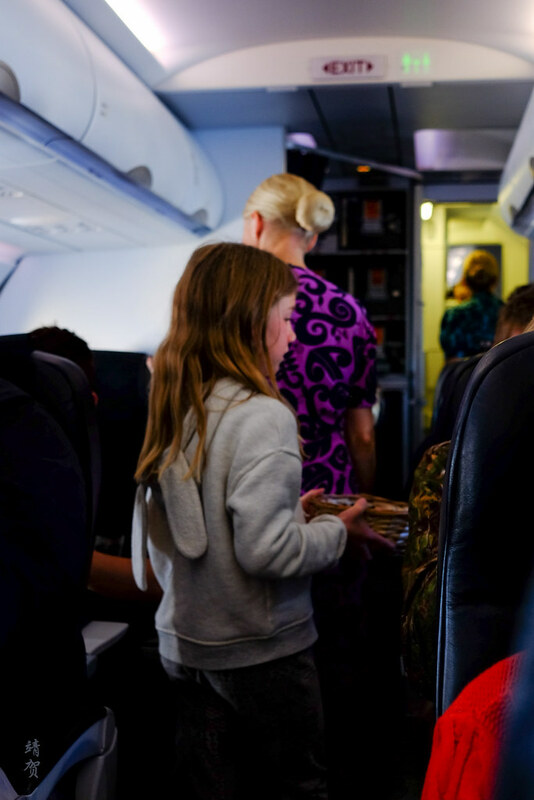 Sometime after the cabin crew has collected the trash, they enlisted the help of some kids who were eager to distribute candies around the cabin. I really recommend the All-Black candies which is liquorice-flavoured. After that the captain came online to announce our descent as we crossed into the North Island. 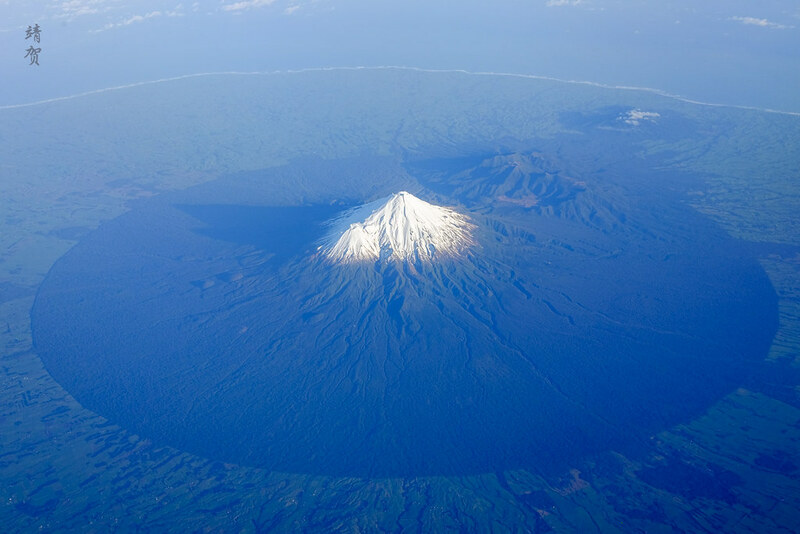 With the clearer skies in the North Island and the nice sunlight, I was fortunate to capture Mount Taranaki in all its glory. Fortunately I kept my eyes on the window as none of the crew actually announced the outstanding view out of the plane. 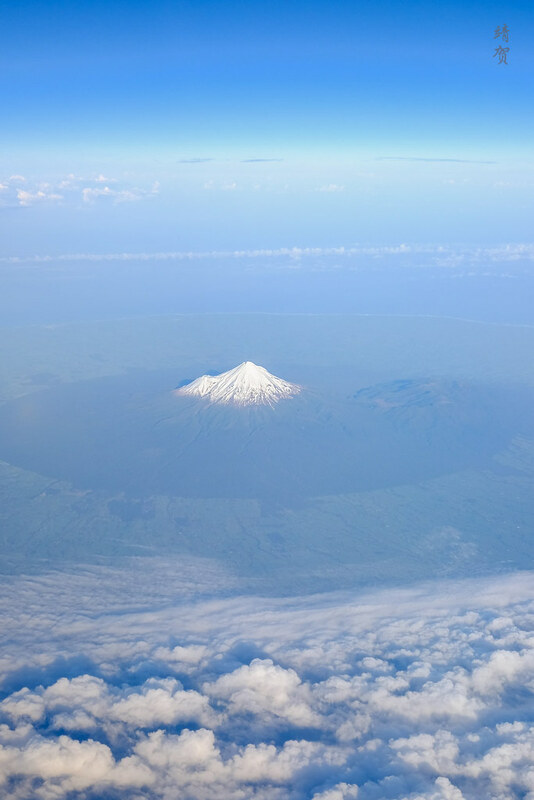 Capturing this nearly symmetrical stratovolcano is perhaps the highlight of this flight and makes waking up early to catch this flight somewhat worth it. 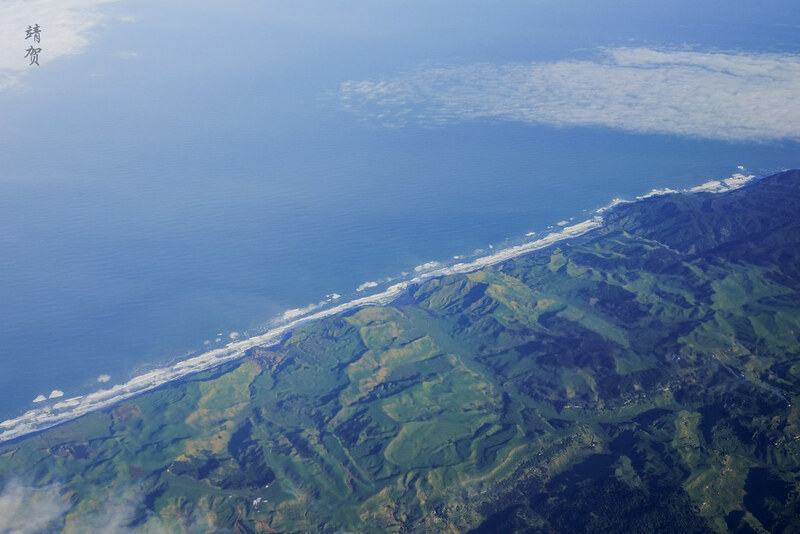 From there, it was not long before our flight made its approach into Auckland International Airport from the southwest, providing a nice view of the western coast. However fog in the airport on a cool winter morning meant our flight was put into a holding pattern. This delay and the fact that we head a longer boarding and take-off meant we still arrived late into Auckland. Our morning arrival did mean that there was a nice assortment of wide-body planes on the tarmac after landing. 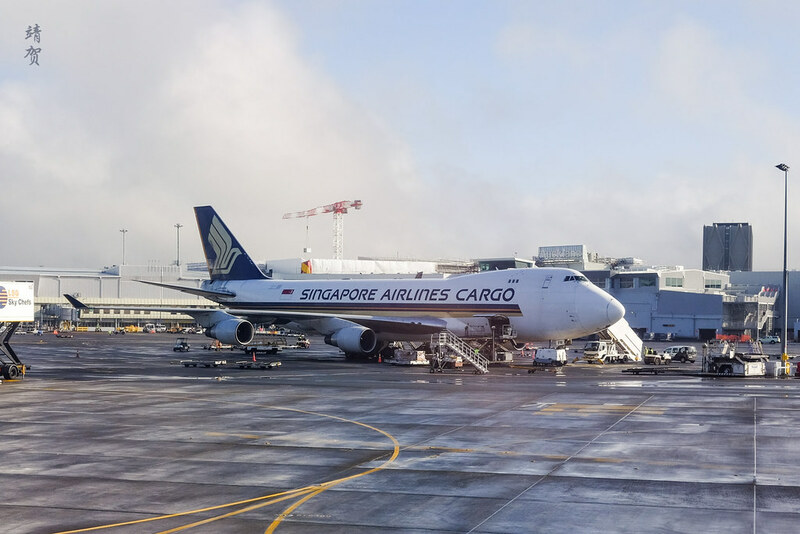 There was Qatar’s 777, Emirates’ A380, Air New Zealand’s 777 and 787 Dreamliner, as well as a 747 freighter operated by Singapore Airlines. 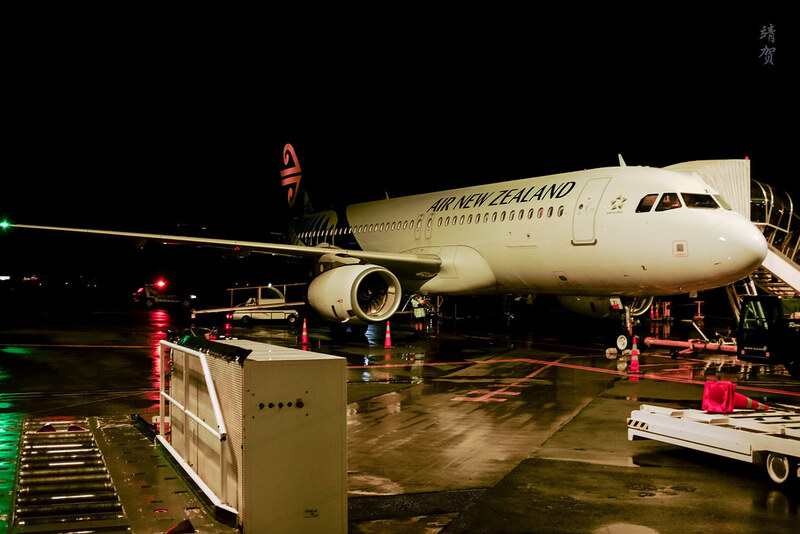 The whole flight was fairly uneventful and standard for a domestic routing in New Zealand. However the sunrise and amazing views along the way made this flight one to remember and why I bothered to review it once again. 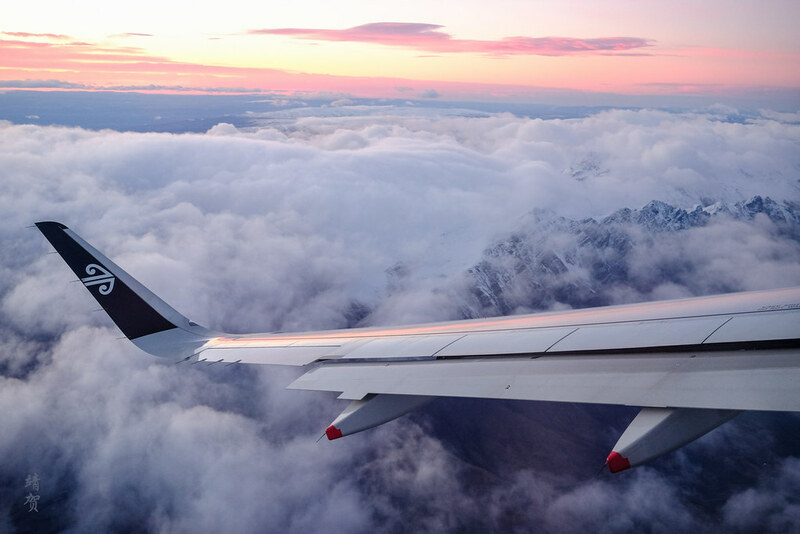 If flying was always so smooth like this, it is sure to be enjoyable. 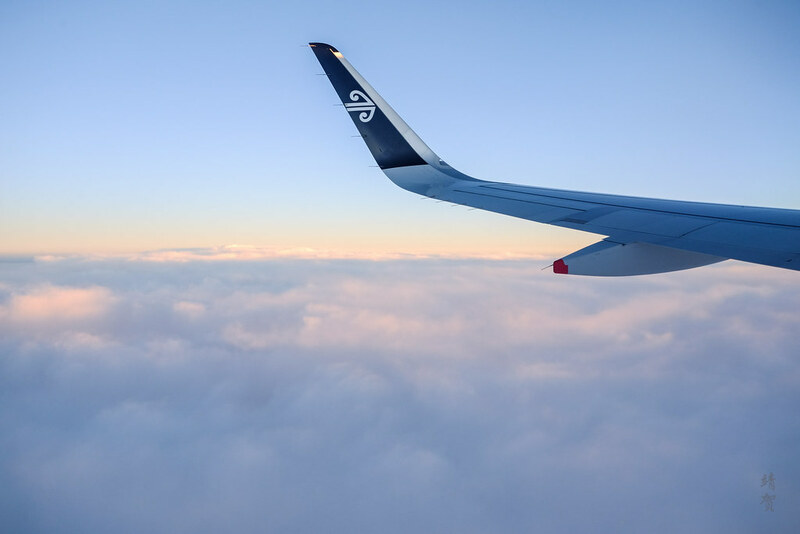 Again, I cannot stress how important it is for photographers and first time travellers flying in New Zealand to keep their eyes open when seated on a window seat on domestic routes as the views can be stunning!